Marj casts her very first presidential vote on the 4th! She’s back home in Alton working out of Illinois Bell Telephone’s local office for the week, and then traveling to Springfield for more training. (She votes for Eisenhower even though the opposing candidate, Adlai Stevenson, used the Leland Hotel in Springfield as his campaign headquarters. The very same hotel that she stays in next week, links below!) 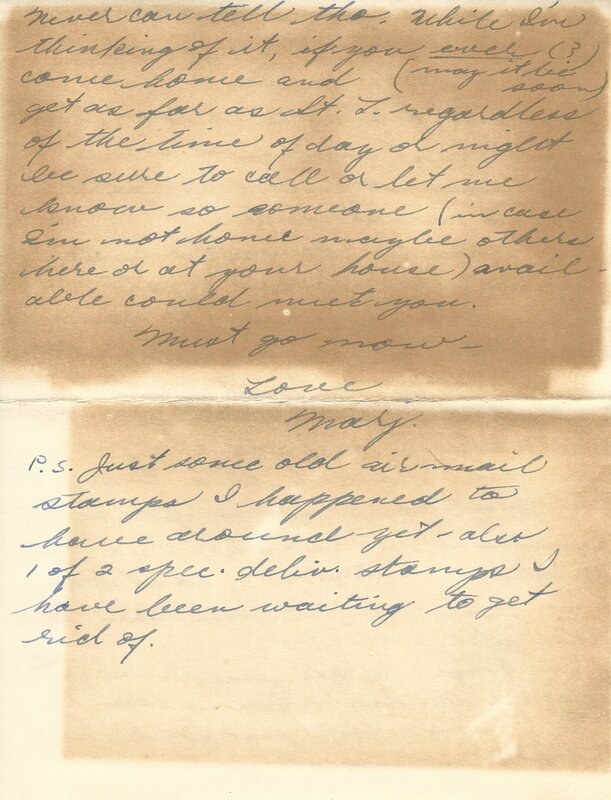 As mentioned in her last letter, she reports on seeing The Crimson Pirate, Christmas shopping in St. Louis, and talking to Carl (Bob’s brother). Bob and Marj is a true epistolary podcast. You can read the original letter and extras, including “the elegant piece of literature” she mentions in this episode below.